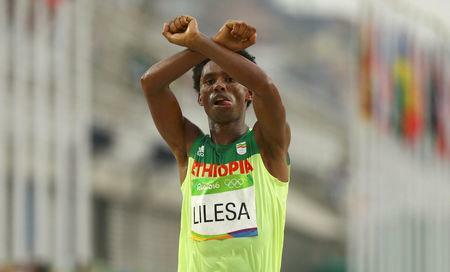 Feyisa Lilesa held his arms over his head, wrists crossed, as he finished second in the marathon in the Rio de Janeiro Olympics, a gesture used by protesters in Ethiopia's Oromiya region during a period of unrest in 2015-2017. On Sunday, Foreign Minister Workneh Gebeyehu received Feyisa at Addis Ababa's airport, where relatives - clad in traditional attire from the Oromiya region - and fans had also gathered. "I knew this day was coming because I know the blood spilled by all these people was not going be in vain," he told Reuters upon arrival. The unrest was originally triggered by protests over government's development plan for the capital Addis Ababa, which critics said would lead to expropriation of farmland in the surrounding Oromiya region. "I knew the dictatorship would eventually fall down," Feyisa said. "I was expecting this day but I did not know if it would be today or tomorrow but it has been clear in my mind that I would go back to my father's land alive." 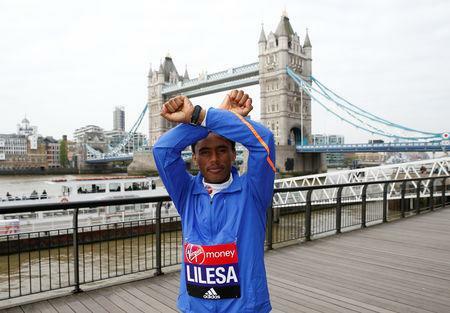 As well as making peace with neighbour Eritrea, Abiy has pursued a reconciliation strategy, extending an olive branch to dissidents and rebel groups, although the changes have not stopped bouts of ethnically-charged violence.After Rio, 28-year old Feyisa competed in a number of marathons, winning some. He told Reuters he planned to focus on training for his sport.